I was born in 1975 in Helsinki and moved to Paimio near Turku at the end of the year 2011. I have always been interested in dogs. 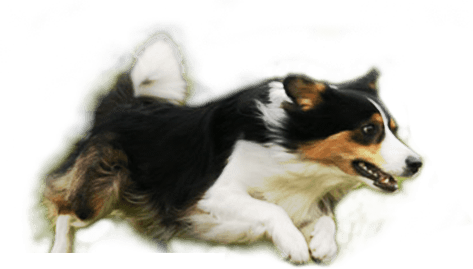 When I started my primary school I spent all my leisure time taking care of collies that lived in our neighbour's kennel. Finally I got my own rough collie Rufus at the age of 15. With Rufus I went to dog shows and we trained obedience, until by chance I ended up with an agility training lesson. Agility took my heart immediately. With Rufus I competed in the highest class in agility. In 1995 I got my first Border Collie Gini (Yazina's Highland Blue). We competed many times in the Finnish Championships. Our family consists of my husband Timo Liuhto and our six Border Collies. Rommi (Yazina's Misty) and Sherry (FI Ag Ch Yazina's Quickly) have already retired from the agility fields. I competed many years with Sherry and she is a Finnish Agility Champion. In 2006 we were placed 7th in the Finnish Championships. My husband Timo competes with Brandy (Fi Ag Ch, Fi Jump Ch, Promillen Brandy) and his younger dog Fizz (Absinth Czech Fan) starts to compete during the year 2012. We have bred four Border Collie litters under the prefix Promillen and we both work as agility trainers. Currently I compete with Border Collie Punssi (Fi Ag Ch, Fi Jump Ch, World Agility Champion-2 2011 Promillen Cinzano) and Pirtu (Promillen Pirtu). Both of them are from our own breeding. Despite his young age, Punssi (born 2008) has accomplished more than I ever dared to dream. Punssi started competing at the end of the year 2009 and in three months he had qualified to Finnish Championships and to national team tryout competitions for the year 2010. In 2010 Punssi was in 10th place in the national team tryout competition and in the same year he became Finnish Agility Champion. In 2011 Punssi qualified to the Finnish national team and we were able to represent Finland in FCI World Championships in France. We won silver medal in the individual competition. In addition in 2011 we achieved team silver medal in the Nordic Championships and in the Finnish Championships and team gold in the District Championships. Punssi became also Finnish Jumping Champion in 2011. In 2012 we got team gold in Finnish Championships and also individual and team gold in District Championships. Punssi also competed in the international competition in Crufts and was placed third in the final. Pirtu (born 3/2010) started competing in November 2011. It took only four competition days and she was in the highest class in agility. Pirtu was 5th in her first Finnish Championships in June 2012. She also competed in the International Agility Festival in UK and won a jumping class over 250 participants. She was also in the team that won the Nations Cup competition there. Pirtu was also in the winning team when we won District Championships. 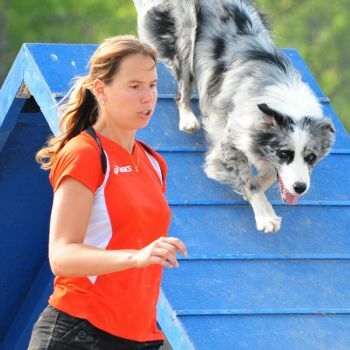 Pirtu became Finnish Agility Champion in March 2013. Pirtu has taught me a lot of new things about training and had made me see things from a new perspective. Time will tell what the future holds for us. The whole new world opened for us when we started training with Janita and Jaakko and all the missing pieces of the puzzle have found to their places. As a trainer it's always nice to see handlers to progress and feel their joy of learning. I want them to feel the same way I did when someone finally made me understand what agility is all about. Your dog gives you always 100%, just be worth of your dog!